Join 5,000 StuCo leaders in Arlington as we come together to celebrate accomplishments, elect officers, and attend sessions on leadership and student council issues. The conference includes a catered meal and a night at Six Flags Theme Park as well as many exciting speakers and activities. 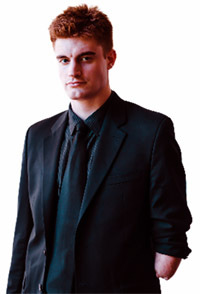 Keynote speakers include Kevin Laue and Carlos Ojeda. Enjoy the large group breakout. Every minute of the conference will be packed with activities, exhibits, assemblies, and workshops to encourage attendees to grow in leadership. There are sessions for both advisors and students. Register now to ensure your school will be there. Online RegistrationCLOSED» We have room for 25 people to register onsite. l4/12/19 Registration should be submitted to TASC using the online registration form. All name badges must be printed. (However, registrations made after April 1 must have name badges printed on site.) Therefore, you are asked to submit names of attendees when registering. For questions about registration, contact Lori De Leon. Cancellations must be via email by midnight March 19. Changes in shirt sizes must be submitted by Mar. 19. • $130 per person if registered by March 19 (Conference t-shirts are provided.) No cancellations/no refunds are allowed after March 19. Schools will be invoiced for the number registered. See Registration and Cancellation policy below. • $155 per person if registered after March 19 (Conference t-shirts are NOT provided.) Note: In order to be eligible for the complimentary conference t-shirt, registration must be submitted no later than midnight March 19th. It helps TASC if you mail your payment asap rather than taking it to the conference. TASC does not accept credit card payments over the phone. You may pay via credit card via a link on your invoice or on site. Early Bird Registration: School registering by midnight on the day Early Bird Registration closes have a discounted registration fee and are guaranteed t-shirts in the amount and sizes submitted by Early Bird Registration. Admission to the event at Six Flags is included in registration, and a catered meal will be served at the park. No other meals will be provided. Registration will remain open until April 10 or until all seats are filled. If space allows, onsite registration is available. However, schools and individuals registered after end of day April 1 will NOT have printed name badges. Allow extra time to have name badges printed. See below for delegation size, registering a guest*, adding names of those registered, and important safety information, etc. School delegations are limited in size. Please see guidelines for numbers. (You may add students for completing state reports, serving on conference committees, etc.) There is no limit to the number of adults who may register. All individuals who attend the conference (are in any session, in Advisor Hospitality, etc.) must be registered as a delegate or a guest. (Please see guest guidelines below.) Six Flags tickets may be purchased onsite for chaperones and guests who do not attend any part of the conference. Additional students may be added on site if room allows. Hotel reservations must be made separately. Hotel Reservations » Please review instructions. You may use the same link to reserve any number of rooms. Hotel reservations will open at 6:00 AM Friday, December 14.----For questions about hotel reservations, bills, etc. contact the housing bureau. Please book in the TASC block -- this helps keep registration cost low. Schools booking outside the block costs TASC revenue. It also helps you because Conference Direct can help you find other rooms, add additional rooms, etc. Contact Conference Direct if you need their assistance or need them to intercede with the hotel on your behalf. 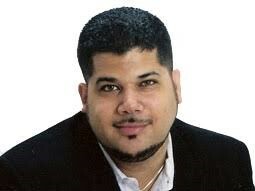 If you need additional help, contact Terry Hamm prior to March 19. Use the hotel reservation link to access hotel information. A number is listed if you need help with this process. Should your ISD or TASC District commit to bringing more than 50 delegates, contact [email protected] prior to November 24. TASC will try to assist you in booking at one hotel. Early bird reservation for all hotels ends March 19. Some end a week earlier. One additional delegate is allowed for each area below. You may also register up to two (2) foreign exchange students in addition to your school delegates. All individuals attending the conference must be registered. Attendees receive a name badge and a wrist band which are required for admission to the Convention Center. Admittance into a private TASC party at Six Flags and a catered meal at the park are included in the registration fee. You must have a ticket to enter. No other meals are included. Six Flags tickets for chaperones/guests who do not attend the conference may be purchased on site. Important Information Regarding Safety and Security at the Conference. All primary advisors must have this information. Guest Registration (for Administrators, Officer Candidate Schools, and Current State Officer Students) for assistance contact Lori De Leon. This option is closed based on numbers registered for the conference. On occasion, schools ask if a principal or another administrator may visit part of the conference. We are happy to include up to two administrators per school without charge as long as we have room. If your administrator (principal or superintendent) wants to attend, register him or her here. If you are a candidate school, you may register one guest as a helper and one parent in addition to an administrator here. If you are a current officer school, you may bring up to four (4) family members of the student officer representative in addition to an administrator for your state officer student designee. Register them here. That way we can be sure to have enough seating. In the happy circumstance that we sell out, you will be notified. Guests do not receive shirts or Six Flags tickets. Should the guest(s) wish to go to Six Flags, you can purchase a ticket at registration or order online if you want an invoice. We do need these names as everyone at the conference must have a printed name badge and wrist band. Note: if we reach capacity, we will close registration and will close the opportunity to add guests. Everyone at the conference must have a printed name badge and wrist band. If you are registering after April 1 (or have changes), you must have name badges printed at registration. Please allow extra time for that. Please bring a typed list of attendees and mark if they are advisors, seniors, or presenters. Thank you for your help with this information and for helping ensure a successful and safe conference for all. Tips for a Successful Conference - Please read. There are several changes for this year's Conference. Service Project: We Help Two will be on site throughout the conference selling socks for $10 per pack. For every three- pack purchased, a warm pair of socks will be donated to a local organization. Additional Six Flags tickets are $48 each and may be purchased on site. Saturday night event at Alley Cats in Arlington ( information): Conference pre-event. Attend when you want. Wear StuCo shirts. Advisors who do not want to play games may choose just to purchase a meal on site. There will be an Advisor Hospitality room on site. You may purchase tickets in advance or onsite. Link to purchase tickets. Traffic update: There are many road closures this year. Lamar from the Hilton, in particular, is no longer an option. 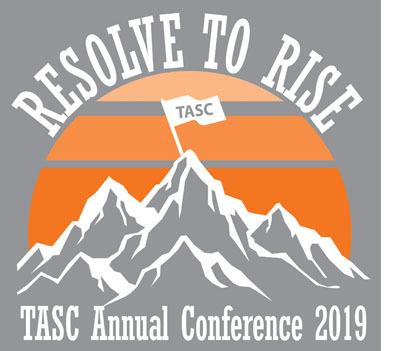 Be a part of the largest student leadership gathering in the U.S. at the 2019 TASC High School Annual Conference! Registration, campaigns, exhibits, and activities are available Sunday, April 14, noon until 7:30 pm. Enjoy games, activities, and entertainment while talking to schools running for TASC office Sunday afternoon. Please note on schedule below times for District flag practice, Table Talk Presenter meeting, and a meeting for 2018 and 2019 JC's. Advisors assume full responsibility for their student delegations during the conference, including enforcing the TASC dress code. TASC recognizes HS advisors for years of service to student council and TASC. Service pins are awarded at five year intervals. Retiring advisors who have served for more than five years are recognized as well. Advisors must submit a recognition form. The only exception to the no hats/no shorts rule is the High School Annual Conference event held at Six Flags theme park. A meal is included with at the Six Flags event. All other meals are the responsibility of the individual.